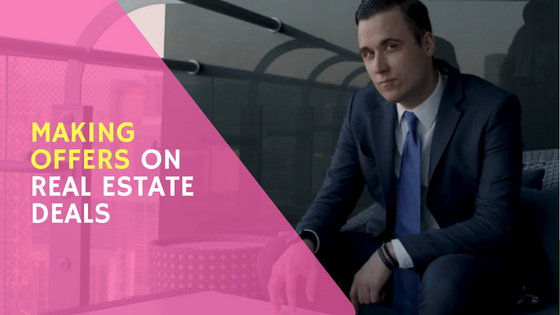 Hi, I’m Stefan Aarnio, and this is Real Estate Investing for Beginners, and if you’re watching this video, you might be somebody who’s just looking to get into real estate investing, and I can say, real estate is a fantastic vehicle for making money. 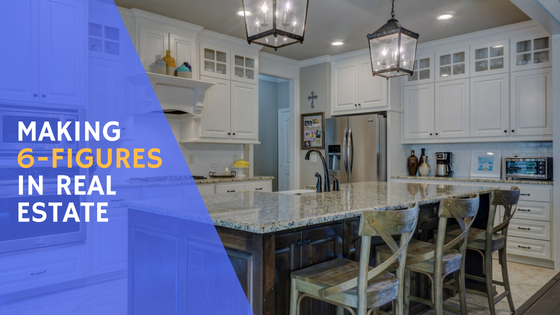 There’s been more millionaires made in real estate than all other industrial efforts combined, and that’s a quote by Andrew Carnegie, who was the steel magnate. He was the guy who built the US Steel, and real estate is really the place where all wealth in the world is either made or held. 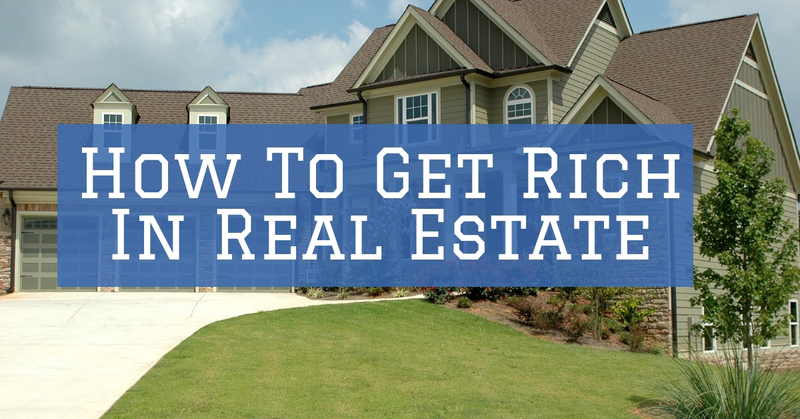 So if you’re on this video looking to make a bit of money in real estate, make some wealth in real estate, you are in the right place. There is three types of money in real estate. And if you’re here, if you’re somebody who’s looking into real estate, my guess is you’re looking for money. Because typically, nobody loves real estate. Nobody loves real estate. What we love is the benefits of real estate and one of the benefits is freedom time, freedom of place, passive income, bigger income, more income. Typically, people get into real estate for income and they get out of real estate for income. And so there’s three types of money in real estate. And the three types of money … I’m going to make the money green for everybody. Three types of money in real estate. They typically look like this. Number one is the fast money. Now real estate is not a get rich quick scheme. I’m sorry, there’s no such thing. There’s no such thing as get rich quick. If you want to get rich quick, go buy some lottery tickets and we’ll see how you do. Buying lottery tickets is called the something for nothing mentality. And I assure you, real estate investing is not a something for nothing endeavor. Real estate either takes lots of time … I’m going to write that down here. It either takes lots of time or it takes lots of money, or both. Now the way that I got into real estate investing, I never spent any of my own money. What I would spend is my time. I’m somebody who is an active partner and I would go and actively do the deals. And so I would spend my time on the real estate deals. But I never spent my money. That was something that I did over and over again when I was running around in the field doing deals. Now I have people running around in the field doing deals for me. And I don’t really spend much time or money or if I am going to spend something on deals, typically it’s more money than it is time. So there’s three types of ways to make money. 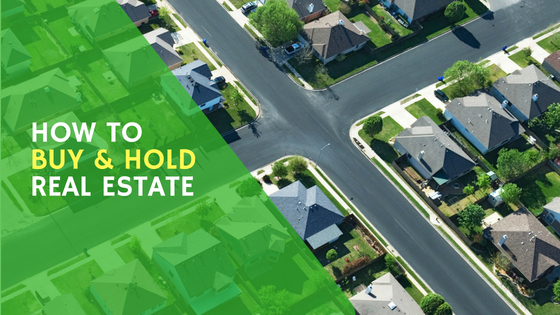 The fast money in real estate is wholesaling. So this is where you go into the market, you tie up a property, you sell the contract. Now my office is doing one and two of those deals every week. So that’s between 50-100 wholesale deals a year, which is crazy. Now some of those deals we might keep them and flip them. Some of them we might wholesale them. Maybe we’re going to buy, fix, refinance, rent, whatever. It’s all good. You can do whatever you want. You just have to know there’s three types of money. 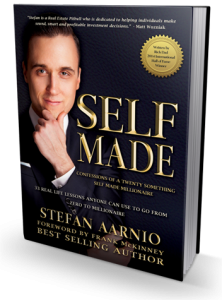 Now wholesaling, this is a no money down strategy. You’re going to put zero dollars into the deal. And I would say the average wholesale across Canada, you could probably say you’re going to make $5-10 grand selling contracts, per contract. Some people make $20 grand on a contract for a bigger deal. Some people might make $1,000 on a contract, maybe $500. But I would say, most deals are probably $5-10 grand is the kind of wholesale fee that you can probably expect. Sometimes we’re getting $15 or $12 or $13 but %5-10 is where it is. And this is 30 day money. So, if you went out today and decided you wanted to wholesale a deal, you’re probably looking to get paid in about 30 days. The second type of money in real estate is the big money. Now the big money is flipping. And so this is buy, fix, fix, sell. And this is where people see TV shows every day about people flipping properties and making big money. Now yes, there is big money in flipping houses. There’s also big risk. When you look at the fast money over here, wholesaling. There really isn’t a whole lot of risk. You’ve got typically a small deposit or a small deposit in the property and you’re just selling the contract. You’re making pure money and it’s a beautiful thing. It takes lots of time. It takes lots of effort but when you get into flipping here. Now we get financing involved. I’ve always used OPM. I’m going to write up here in green, OPM, other people’s money, to do my flips. And that is how I’ve done all my deals over the years is OPM, OPM, OPM. Even my own home I live in right now, OPM. This office that we’re in right now. Everything has been OPM. So flipping, buy, fix, sell. This is where the big money’s at. And I would say in most markets in Canada, you can expect to make probably about $30 grand on most deals. That’s about 10% of the sale price. So let’s say you’re flipping a $300,000 house, 10% of the sales price, $30 grand is what you can expect. So that’s big money. Now if you’re doing one or two of those a month, that’s really nice. You’d be making $300,000-400,000 a year. I have some friends who are making $600,000, $800,000 a year flipping homes. Many of my students are making multiple hundred of thousands, $100,000, $200,000, $300,000 flipping homes. Now the third way that people make money is the passive money. So this is your mailbox money. And this comes from buy and hold. So this is where you buy something and you hold it. Now buy and hold is tricky because a lot of people want to go straight to here. They want to go straight into number three. And I don’t know if that’s the right idea. There’s a couple rules I have here for people who are just starting out in real estate investing. And I wish someone had shared these with me at the beginning. I could have saved myself a lot of pain, a lot of suffering. Now, I want you, if you’re just beginning in real estate, I want you to spend your time on these two, okay? Until you have $100 grand cash in the bank. So here’s the question. Do you have a $100 grand cash? If you have a $100 grand cash, then you can proceed to step three, the passive money. You can go and get into a passive deal. Now the mailbox money, when you start owning bigger properties, or you start owning passive properties, you could probably expect to make about $100 a door. $100 per door per month. So if you go out and buy yourself, let’s say, a 30 unit apartment building, you’re going to make about 3K a month passive. If you buy a 50 unit, you can expect to make 5K a month passive. That’s how the numbers work typically in the passive money. A lot of people though want to get into the passive money and they don’t have any money. What happens with that is that works for a little bit until something goes wrong. A roof goes, a furnace goes, a boiler goes, a bunch of tenants smash up the place, and then you have no money to fix things up and you might be forced to sell. And so the rule I have for people is if you have $100 grand cash in the bank, you can now proceed into the passive money. But until you have $100 grand cash from big money and fast money, flipping properties and wholesaling, I think you need to stick with one and two. Earn income and then invest that into passive income. And I really believe that you should not get into passive income unless you have $100 grand cash in the bank. I met with a guy last week. He has $400 grand cash in the bank. He’s a doctor. That guy can talk about doing some passive money. But if you have $10,000 in your bank account and you want to go buy a duplex, I think that’s generally a bad idea. Now here’s something else I want to add on and I’m going to break a lot of hearts with this. I don’t really want to break your heart with real estate but a lot of people get into this kind of thing and they don’t have enough cash and then they get screwed up at some point. And I want to save you a lot of pain and heartbreak. Something that you need to know is this. Small properties … My mentor shared this with me years ago … Small properties, one to four doors with more than 50% debt, do not cash flow. So small properties, one to four doors with more than 50% debt, so that’s a mortgage, they do not cash flow. So this is something to keep in mind, okay? A lot of people in Canada that sell lots of books and tapes and CD’s and that kind of thing. They like to sell people on the idea of getting a small property and cash flowing it. Now here’s the thing, there’s only two conditions on which a small property will cash flow. Either you have less than 50% debt on the property, which is the mortgage, which is very unlikely in Canada right now. Or the other thing is you can manage it yourself. Now if you are somebody who is looking for freedom in real estate, my guess is you don’t want to manage properties. I don’t like managing properties. Not something I like to do. I don’t like dealing with tenants and toilets and people flushing things every two minutes. 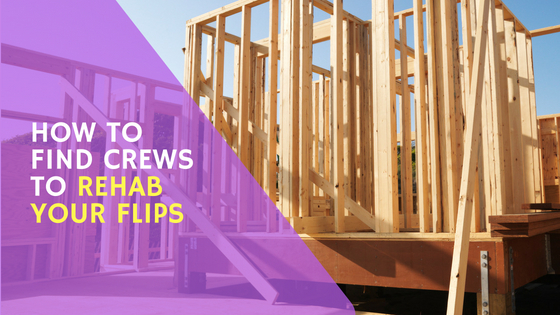 So, if you want to manage it yourself, one to four doors can cash flow. But here’s the problem. You do not have freedom when you are catering and dealing with a whole bunch of tenants. Tenants are typically lower income people with problems. And I’m not here to bash tenants, I’m not here to talk down or say anything mean about tenants, but people are typically renting if they have problems and you’re going to deal with all these problem people managing it yourself. Typically people get into real estate for freedom. For freedom. And if your idea of freedom is dealing with properties yourself, then go ahead. If your idea of freedom is not dealing with those properties, then maybe you need to wait until you make $100 grand and then do it this way that I’ve said here. So small properties with one to four doors do not cash flow unless number one, you’re doing it yourself which I don’t think is my idea of freedom. Or less than 50% debt. 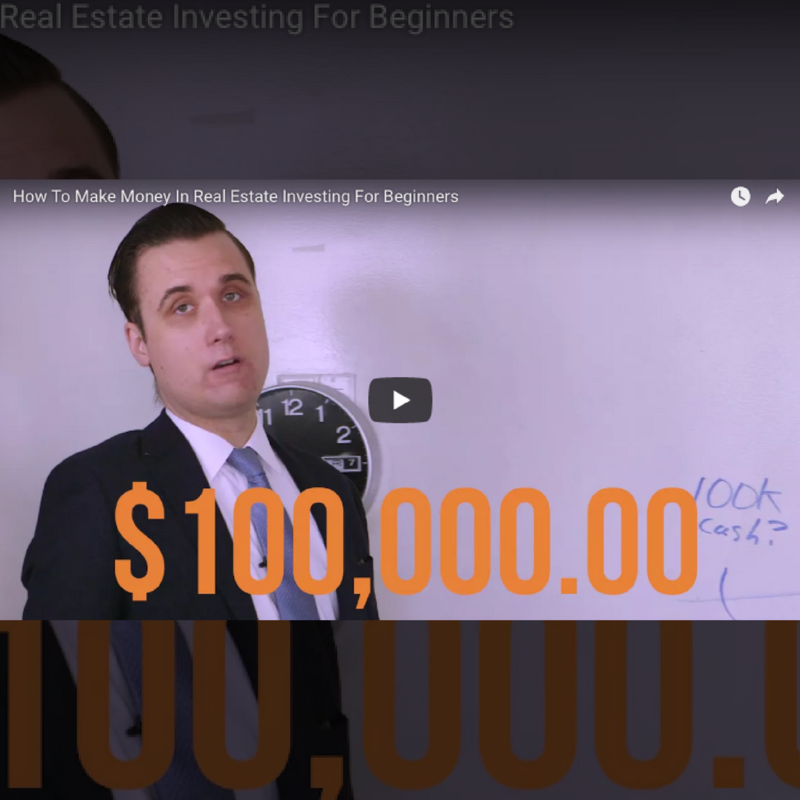 So that’s real estate investing for beginners. You’ve got the fast money. You’ve got the big money. You’ve got the passive money. You want to stick over here with the fast money and the big money until you’ve got $100 grand and then you start going into the passive money. But once you use your $100 grand, you’re going to have to go back down to the fast and the big money. I’m Stefan Aarnio, like, share, comment, subscribe to my channel. And as I always say, respect the grind.